Alternative histories can be fun, they can also be provoking, they may rest on thin foundations and be less than credible. This new book shows solid research, interesting observations and conclusions and has a high credibility factor. Often books of this type are an acquired taste. They offer a possible history which is different from that which has been established. However,there is much to learn and consider from this book which is recommended to anyone interested in the art of the possible and the reasons why it was not the actual outcome. SUBJECT: 1939-1945, 1940, WWII, Second World War, World War Two, England, British Isles, Germany, invasion, beach landings, land campaign. DESCRIPTION: Alternative histories can be fun, they can also be provoking, they may rest on thin foundations and be less than credible. This new book shows solid research, interesting observations and conclusions and has a high credibility factor. Often books of this type are an acquired taste. They offer a possible history which is different from that which has been established. However, there is much to learn and consider from this book which is recommended to anyone interested in the art of the possible and the reasons why it was not the actual outcome. It has been well established that Hitler did not expect to fight a major European War before 1944. His weapons development and building plans were all set out on this expectation. As has happened so many times in history to other aggressive dictators, Hitler had come to believe his own propaganda. He saw Britain and France as weak and decadent. He believed that he could continue to nibble away at neighbouring countries without consequences. When Britain and France told him to withdraw from Poland or face war, he did not believe their leaders, after all, these were the same weak politicians who had gone to every extreme to avoid war of a string of similar expansions. Although Hitler was socked by the declaration of war by Britain, and although his arms programs were still incomplete, Germany was in a relatively strong position. It had a large army and a large air force. The naval forces were relatively weak but he expected to triumph against land and air forces. After the Phoney War where neither Germany nor the Anglo French Allies avoided any serious land engagement, the Blitz Krieg swept across to the western coasts. France and the Low Countries became Occupied Europe. In a matter of weeks, Germany controlled the coastline from the Norwegian North Cape down to the border with Spain and its sympathetic Fascist dictator who had been helped into power by German assistance in the Spanish Civil War. 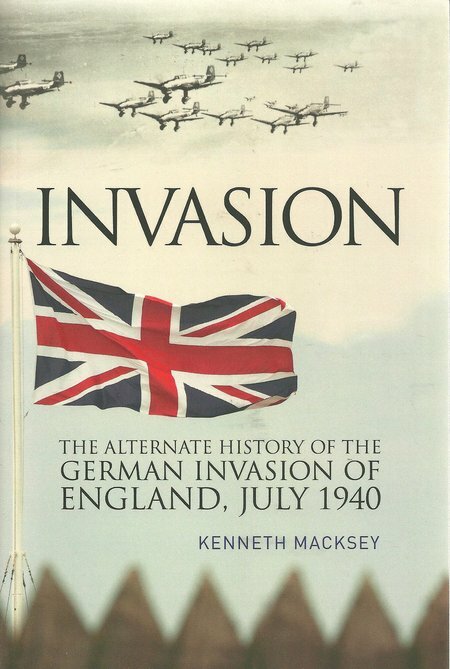 There has been much debate since May 1940 as to why the Germans did not sweep on and invade the British Isles. The reality was that the Germans only had a part complete invasion plan that was long on theory and probably never expected to be required. Hitler certainly expected Britain to seek peace and reach an accommodation with Germany that he could later ignore when invasion would be an affordable luxury before taking the war to the United States and what remained of the British Empire. Before then, he knew he had to take on Russia and defeat it, producing the land mass for German colonization. It would have suited Hitler to have a Britain controlling most of its old Empire and protecting Germany from war on two fronts. When the German air force was let loose, it was assumed that the RAF would be defeated in a few days. When that defeat was avoided and the Germans suffered significant aircraft losses, invasion was not an option.